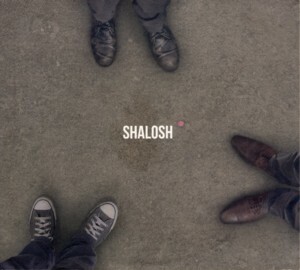 This is the debut album by Israel Jazz piano trio named ShaloshFind albums by this artist (Three in Hebrew), comprising of pianist Gadi SternFind albums by this artist, bassist Daniel BenhorinFind albums by this artist and drummer Matan AssayagFind albums by this artist. The album presents eleven tracks, ten of which are original compositions credited collectively to the trio and the remaining one is an arrangement of a song written by Fiona AppleFind albums by this artist. The trio plays a completely unconventional mixture of Jazz, Rock and contemporary Classical music, which is highly spirited and very dynamic. Based on clear melodic themes, each songs goes through several stages, usually peaking with an explosive climax and then either returning to a calmer cycle or shifting into another melody entirely. Initially this music might be a bit difficult to get into by the less experienced listeners but in time becomes quite hypnotic and absorbing. The individual instrumental performances are all beyond reproach. Stern uses cleverly the acoustic piano and the electric keyboards, each in quite different way. There is not much soloing per se on this album, but whatever is played clearly shows a highly skilled output, with minor imperfections hidden by the youthful enthusiasm. Benhorin is the "responsible adult" in the trio keeping them in check and solidifying the overall sound. Assayag is a bit overdramatic and too loud on occasion, especially when he enters a steady Rock rhythmic pattern, but again the overall effect is quite excellent and considering this is their debut album, they deserve to be complimented. The strongest asset of this album is its originality and the fact that although it is deeply rooted in the Jazz tradition it does not follow the mainstream tradition, leaving it in the past, where it belongs. This music is much closer to European Jazz than many other Israeli recordings, which simply imitate American mainstream, and as such deserves to be praised. Well done people!